When I first started along the road to recovery from my eating disorder, I was mostly just going through the motions, hoping that one day everything would click and I would be healed. I ate all the meals I was supposed to. I listened very carefully to my body’s true hunger signals. 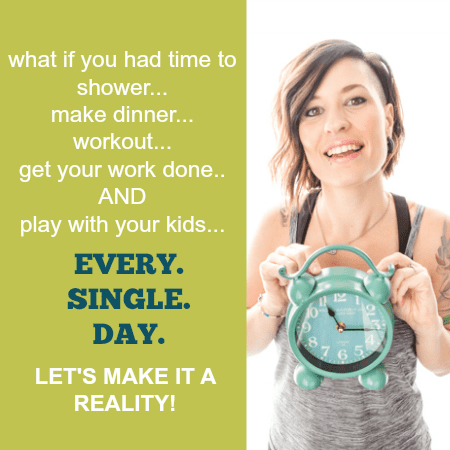 I worked out without over-doing it but enough to help me deal with the stress of feeding my body and normal life. I tried not to look too much at what size clothing I was wearing or care about what the number on the scale would be if I were to step on it. But when it came down to it, I didn’t have a true genuine love for my body and its abilities until about a year and a half into my journey through recovery. It was then that I first tried yoga. I hopped on to a site with free yoga videos (doyogawithme.com) and tried out a beginners class taught by Fiji McAlpine. Over the prior year, I had been running, lifting weights, and enjoying my weekly Zumba sessions. All of those routines were great, but none of them struck me. Not in the way this first session did. After 45 minutes of my first yoga, once I got to Shavasana (“Corpse Pose”: You know, the part at the end where you just lay there and try not to fall asleep), I couldn’t help but feel the emotions of my practice. I laid there feeling such a gratification for my body and the strength it gave me to endure the practice. 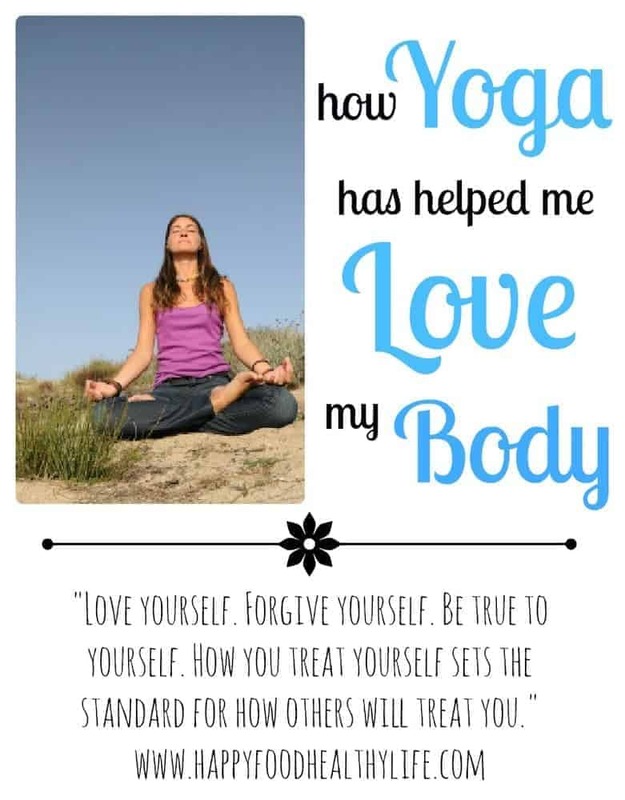 I want to share with you some of the ways that yoga has helped me to gain a true appreciation for my body and to have helped me through my journey through eating disorder recovery. Yoga is a gentle form of exercise. As someone who has battled an eating disorder, I know that exercise isn’t always an option. After years and years of food restrictions, my body wasn’t in top health. My heart was irregular, I suffered frequent stomachaches, and I was constantly fatigued. Spending time on the elliptical wasn’t always an option for me. I also know that there are many people who struggle with injuries due to poor health and nutrition or a number of other reasons. Yoga can be such a gentle practice if you want it or need it to be. It is a way that truly allows you to listen to your body. To feel if something is uncomfortable and to push a little more if you feel that you can. It is different from any other form of exercise because you are very much aware of the way your muscles feel in each and every pose and transition. Yoga gives you appreciation for its strength and abilities. I can’t count the times I have held a pose for 30-60 seconds and felt like I was going to fall over from shaking too hard. Holding holding holding. Shaking Shaking Shaking. Burning Burning Burning. And finally you get to release and ahhh! You feel so strong and proud of yourself for being able to hold such an uncomfortably awkward pose for so long. You soon realize that, holy moly, your body is strong! Your body is capable of so much more than you may think it is. Your body is able to do things that you may have never thought possible. Never in a million years did I think I could do a backbend or end up halfway to a headstand, but by golly, I’m there! My body is truly strong and is capable of so much, and if I work hard, I will be able to push it to places I would have never imagined, and I can’t wait to see where yoga will take my body physically. Yoga allows you to free your mind. One of my absolute favorite reasons to practice yoga is the mind/body experience. During my 60 minutes or so of practice, my mind is focused on my body. It is focused on my breath. I am not thinking about how uncomfortable I feel with my belly hanging a little over my pants. I’m not thinking about how ugly my hair looks or that I didn’t do my makeup. I’m thinking about how my breath is in line with the movements of my body. In our society, we are used to our minds going nonstop. We are always thinking and stressing and criticizing. Yoga is a time for you to shut all that off. To turn off your mind and truly just let go and not worry about the stresses you have regarding your body. Yoga has obviously changed my life for the better. I am pretty sure that I would still be recovered at this point, but I am also pretty sure that I wouldn’t have such an appreciation for my body if it wasn’t for yoga. What activities do you partake in that help you to appreciate your body? Hi! I got your card from the BYBC on Saturday & just wanted to come by and say Hi. Thanks for stopping by Stacie! I know what you mean about hiking… i’m also not that great at it, but it definitely gives you an appreciation for your body and all it is able to do for you… especially as you’re looking down at your surroundings once you reach the top. You are so very welcome Heather. If you’re wondering who is the best or who I favor on there, the instructor Fiji McAlpine is quite amazing. I really loved this post. Thanks for sharing! As a yoga instructor, I have seen students take yoga and have such a better attitude towards themselves. Yoga has absolutely changed my life! I don’t practice nearly as much as I used to, but even just once or twice a week is a wonderful way to connect with myself and find appreciation for my body and it’s strengths. Thank you for all you do for the yoga community!